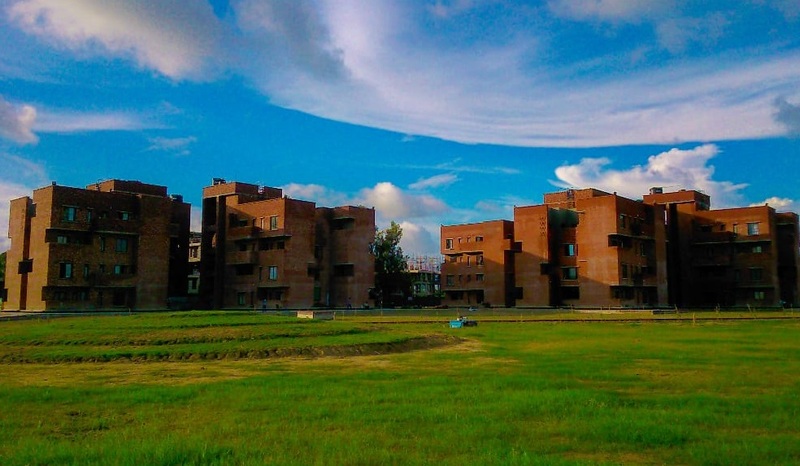 There are 20 IIMs and many other leading B-schools in the country, but when we talk about IIM Kashipur, it stands apart from the rest of the others. It was founded in 2011 and made tremendous growth since then within a very short span. At the periphery of Kashipur, Uttarakhand, one can not escape the glint of “Indian Institute of Management, Kashipur”. Situated at the footstep of the mighty Himalaya, this IIM has forged an intimate relation with the nature. The cultural diversity that is present in the institute commensurate with the rich biodiversity in the vicinity. But it is not all about the green hues in Kashipur, the place is an abode of numerous industry which perfectly balances the dichotomy and it also gives great opportunities to students for industrial visit. The ‘Outbound’ programmes in the dense forest of Jim Corbett provide the student to learn various team building skills via rigorous physical activities. The Institute has great locational advantage and it is a dreamland for adventure lovers. Further, to make sure that one fully takes the advantage of the scenic beauty of the region, there is a Biker’s Club in the institute dedicated for this purpose. The humungous institute is spread across 200 acres, with an eco-friendly and well-equipped infrastructure, which corresponds with the vision of the institute, that is sustainability. The mission of the Institute to nurture and train managers and leaders with a social conscience and an ability to deliver performance and attain excellence across cultures, functions and geographies. The pedagogy of IIMs is unquestionable. It follows the Case Study Method of Harvard and makes sure that the students are up to date and not become the victim of obsolescence in the fast-moving economy. The Faculty has a major contribution in making this system of education possible. The Institute makes sure that the students remain competitive and thus gives them the autonomy to manage various activities and events. Here, one can get a platform to flaunt their academics as well as non-academics skills. For instance, the Parivartan Club, which aims at uplifting the society, works on an underlying noble principle of equality by imparting social conscience in the volunteers. This club is trying to make Kashipur a better place, by aiding the have-nots, and giving them means and dreams to live upon. When it comes to foreign exchange programmes, the Institute has MOUs with renowned Colleges abroad, where a deserving student can learn for 3 months, with altogether shift in culture, which manifests their adaptability skills. Also, many students from those colleges get the opportunity to come and study here in IIM-Kashipur. The institute allows the student committees to organize various events and the committees make sure that they provide the best experience in their flagship events. Breaking down to the crux, the institute has rightfully made place for itself in the NIRF Ranking of Top-20 B-schools in India. Even the top Corporates are looking ahead for a quality recruitment from this institute and I hope the students won’t let them down. This is the reason why I chose IIM-Kashipur. Which ABG Company One Would Want To Work For? The subsidiary of Aditya Birla Group(ABG) which I want to join is Aditya Birla Capital Limited (ABCL). ABCL is a Non-Banking Financial Institution. Being a B.Com.(Hons.) graduate, with a specialization in Finance, I would be seeking a job profile in finance domain as it will correspond with my academics along with aspirations. No doubt, being amongst the top 5 fund managers in India, ABCL could provide a challenging job profile with an enriching experience. Under ABCL, my interest is inclined towards Asset Management, Wealth Management, Corporate Finance and Financial Advisory Services. Further, the pedagogy of IIM Kashipur can prepare me for undertaking future leadership role as well is ABCL.